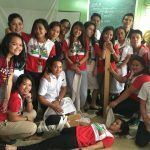 This is our very first BLS ACLS course conducted with CPD units issued by Powerhouse Training Center. The venue is the training center of Powerhouse Training Center in Tagbilaran City, Bohol. The training program has the approval of the CPD council and the units approved are 24 CPD units. 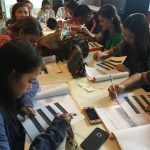 A total of more than 30 participants joined the 3 day training program. No less than the president of the Powerhouse Training Center started the day discussing the legal matters of the CPD. This was then followed with the main topic Basic Life Support. The first day, was devoted to Basic Life Support (BLS) where the participants learned the updated guideline of CPR. 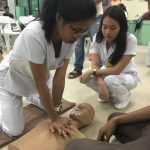 Following the standards of the CPD program, a pre test was given to the students to check their level of knowledge regarding the program considering that being nurses, they already have an idea about basic life support and advance cardiac life support. The second day of training started with the topic for Advance Cardiac Life Support all the way to the 3rd day. 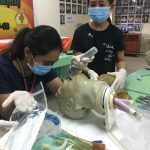 Each participants were able to learn the aspects of handling the BVM, OPA, NPA and advance airway management. 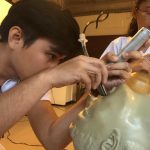 One major aspect of the Advanced Cardiac Life Support is the Advanced Airway Management (hands on intubation). This requires the use of the larygoscope to insert the Endo Tracheal Tube (ET tube towards the trachea…. 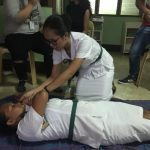 Each participants were oriented and guided one by one on the procedure and after which, they were given time to perform the task without assistance. They then took turns in intubating and responding as a team with the megacode scenario. ECG interpretation and rhythm management were also tackled to comply with the ACLS learning on interpretation and pharmacology. The training ended with a post test to check the learning of the participants. Certain number of participants also availed for the issuance of international certifications from the American Safety Health and Institute (ASHI) U.S.A. Prior to the closure of the program, the participants received right away their certificates from Powerhouse Training Center with 24 CPD units. 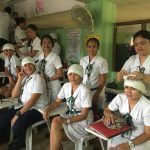 The certificates have a 3 year validity where the participants can use for renewal of their nursing license in the Philippines. 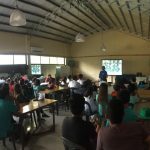 This entry was posted in News and Events and tagged acls, advanced cardiac life support, basic life support, bls, cpd units, cpr, international on November 2, 2017 by basiclifesaving. 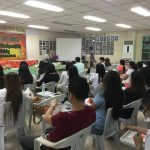 October 24-27, 2017, Our group has conducted training to employees of Ramiro Community Hospital. The training started October 24 and ended October 27, 2017. The training was done in batches considering that the participants have to be divided so as not to hamper the hospital operations. 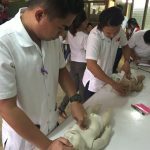 We have been conducting training to Ramiro Hospital for several years already being the provider for their BLS ACLS programs and this time the training is for updating of their expired BLS and ACLS course completion cards. 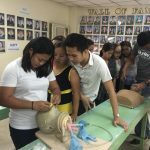 A total of 80 plus participants joined the training which include CPR return demonstration and Hands on Intubation. ECG interpretation was also reviewed and at the end of each day an ecg interpretation exercise was done. The participant were then divided into groups for the megacode scenario. Once again the training was a great success and the second batch will be conducted by the month of November. This entry was posted in News and Events and tagged acls course, aha guidelines, bls, cpr, training on November 2, 2017 by basiclifesaving.